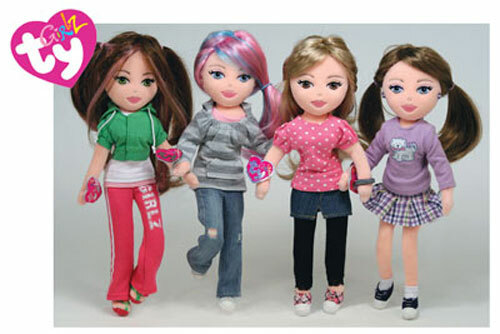 TY GIRLZ are brand new online interactive dolls. Each doll comes with its own unique code inside the hang tag. This code allows you to enter the Ty Girlz virtual world website where you can interact with other owners of TY Girlz. TY Girlz come with unique outfits, very cool accessories and hair that feels so eal you won't be able to stop styling it.